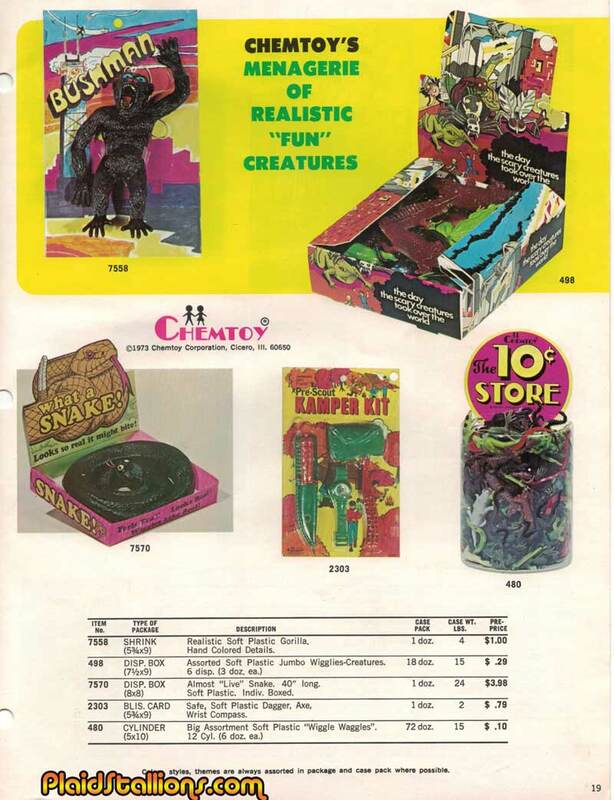 Chemtoy was one of America's premiere producer of lower cost novelties and Rack Toys during the 60s and 70s. 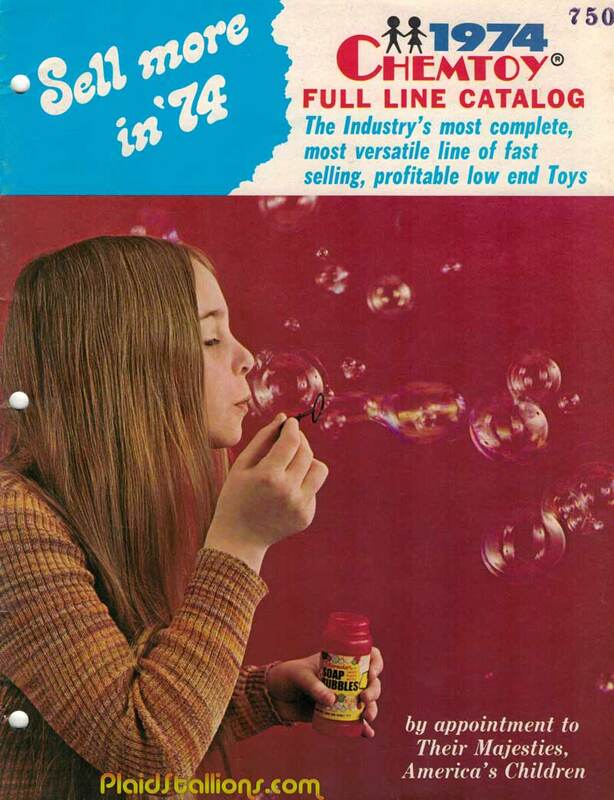 Their offering for 1974 was a fun mix of generic staples like bubbles, paddle balls, toy guns that you can still find to this day. 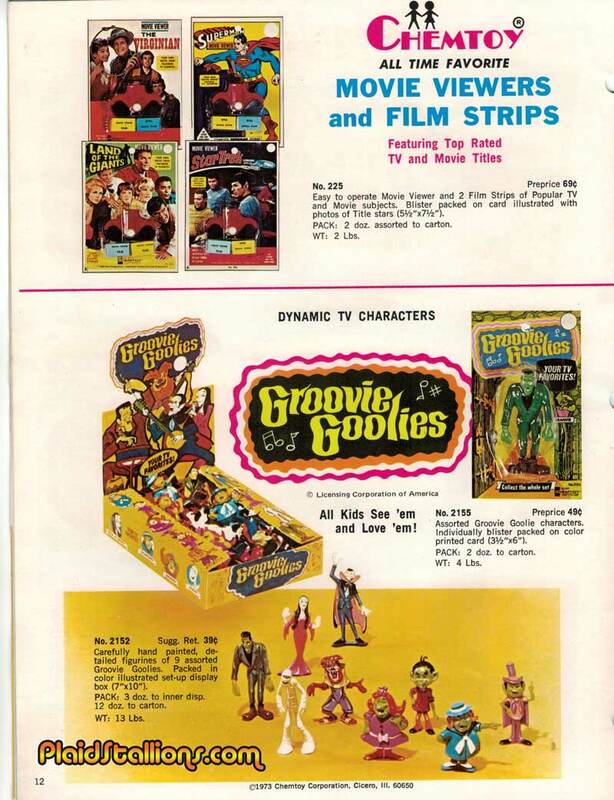 On the licensing side they had everything from Batman to the Groovie Goolies, it's good group of old friends. 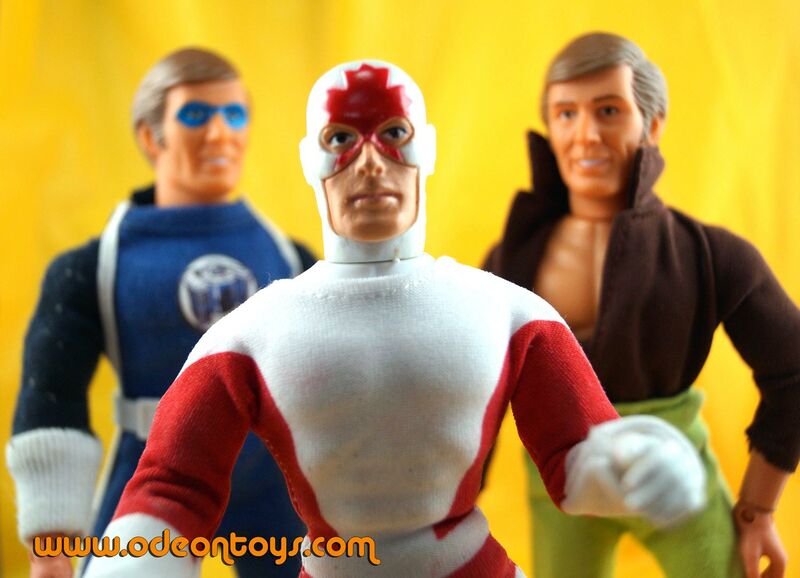 Get Captain Canuck, Brick Mantooth and more at our shop! 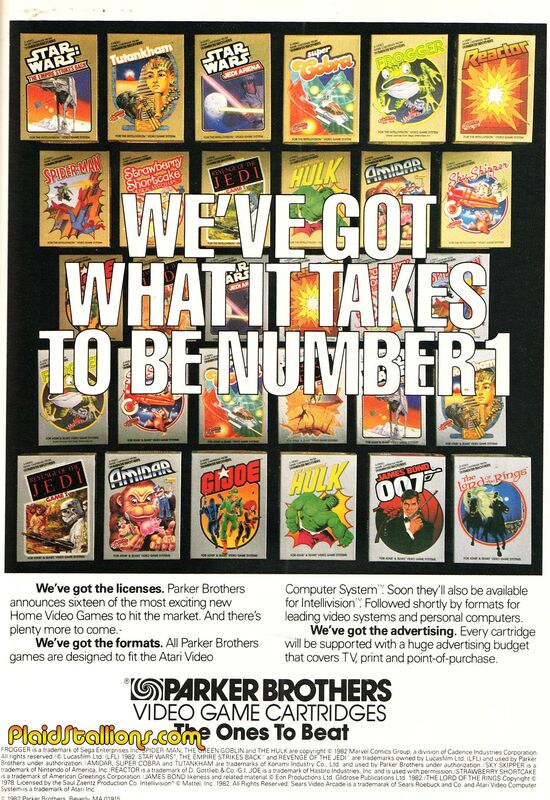 Parker Brothers really seemed to dominate my video game purchases in the early eighties and seeing this toyfair ad from '83 made me smile. If I didn't have one of their games, it surely was on my wishlist, someday you will be mine Spider-Man! 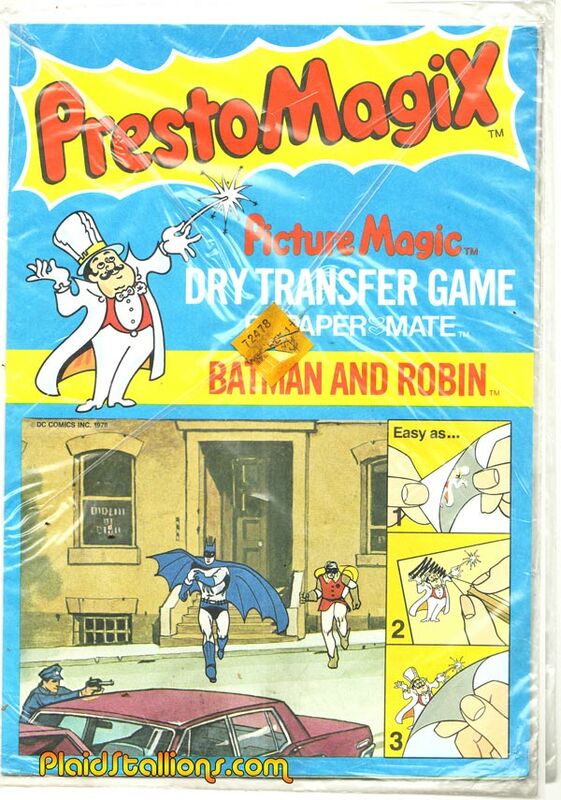 I love Presto Magix and I recently appeared on the Super Mates podcast to extoll their virtue. One of the things I discussed was this Batman and Robin set, one of my favourites and the really weird variation. 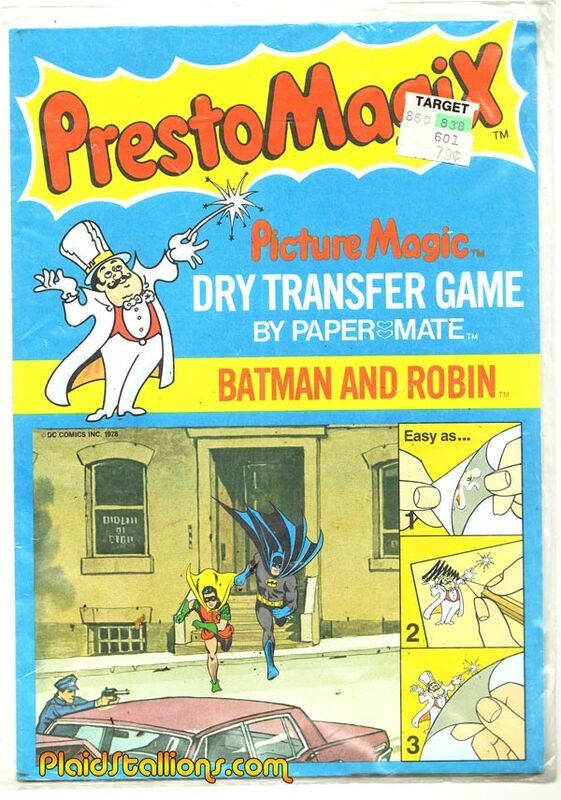 Above is the later released version and features some beautiful stock art of Batman and Robin. 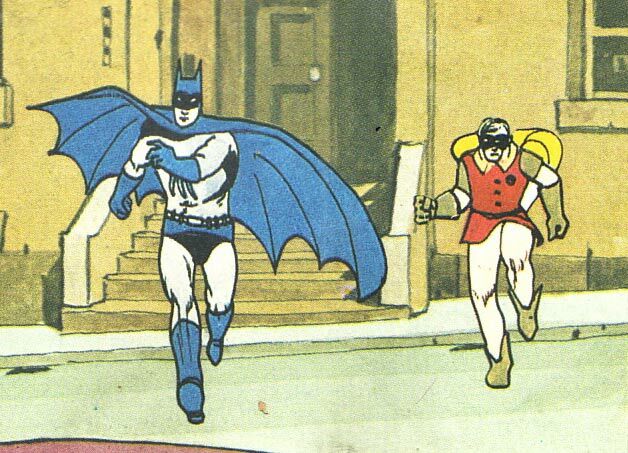 And this is the early, weird version that looks like a sixth grader drew the caped crusaders. It's so weird, everything is beautifully drawn in this picture except for Batman and Robin? 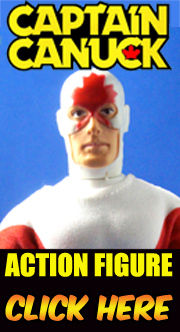 Get the limited edition Captain Canuck Action figure from us. 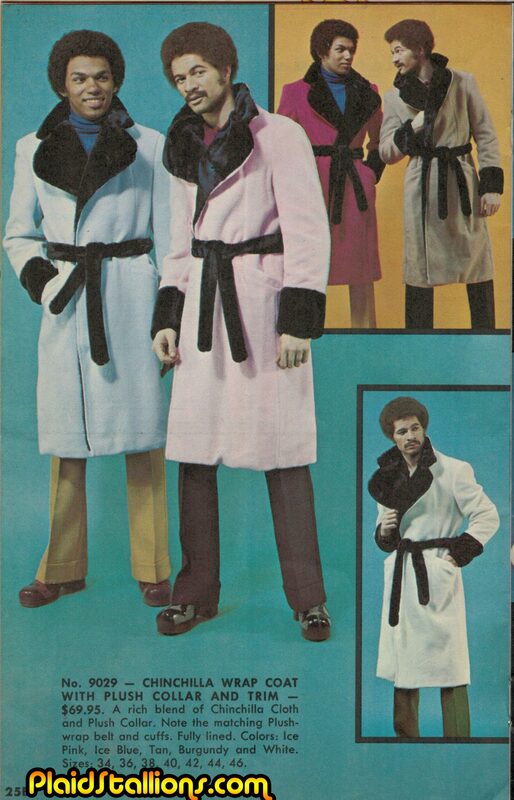 Presenting the coat that provides you with the comfort of a bathrobe and the look and feel of ....a bathrobe. I'm proud to finally announce that Odeon's latest action figure, Captain Canuck is now available to order. For years, I had been struggling to find an iconic Canadian character to bring to market, many of the attempts dissolved when rights weren't clear. Which was kind of a bummer. Thanks to my friend and partner in this Sam Noir, I was introduced to the good people at Big B Comics and Captain Canuck Inc, who are as responsible for this as I can claim to be. Captain Canuck definitely resonated with me as an Ontario lad, I distinctly remember him drawing pictures of him saving the prime minister (with a thought balloon of "why am i saving this guy? 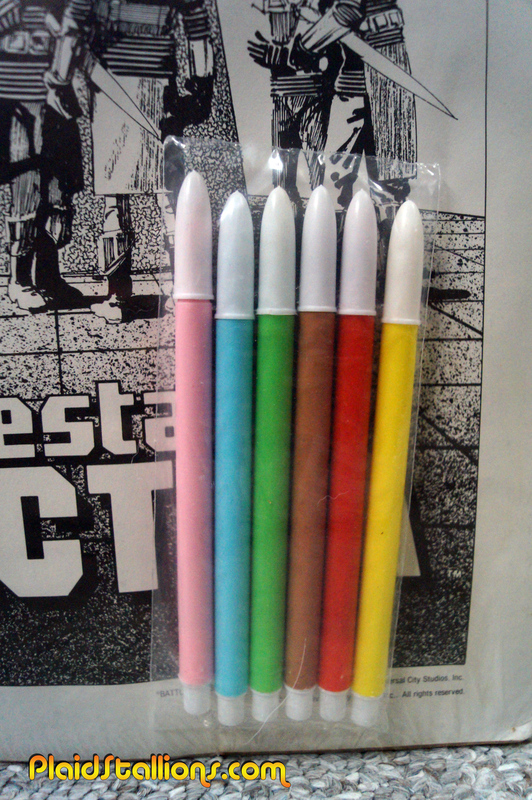 ", because at 8, I was a master of political satire.). 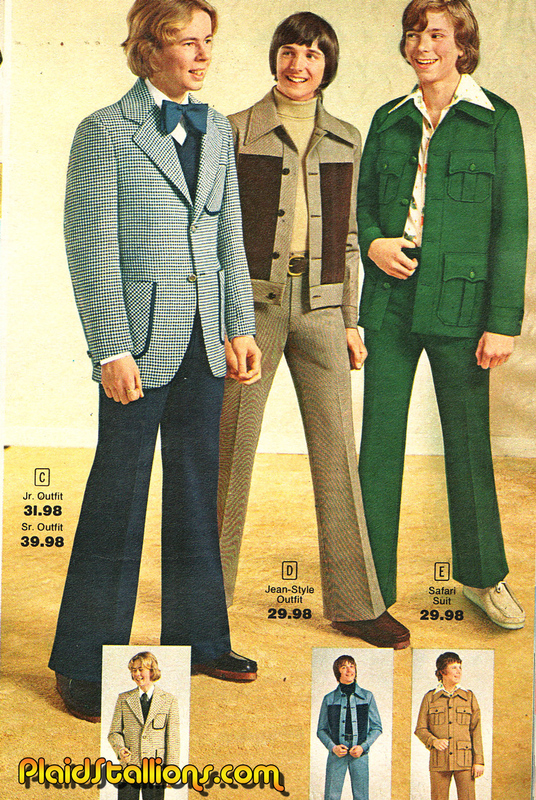 If I had seen this hanging on the shelf of my local Woolco in 1976, it would have been mine. The photo above is the entirely selfish reason I did this. Many thanks to Paul "Dr. Mego" Clarke, Mark Huckabone (you saved the maple leaf buddy! 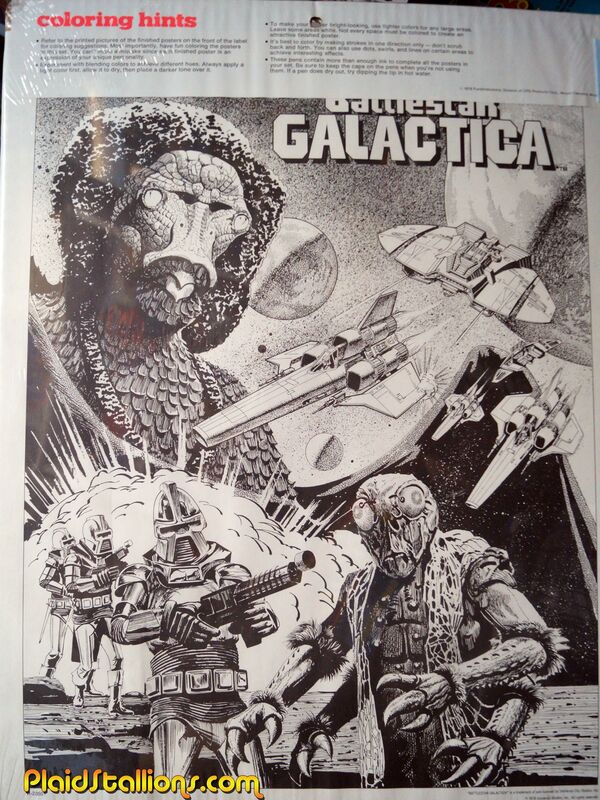 ), Andrew of Covalt studios, Paul from Laser Mego and Brian Leitner. 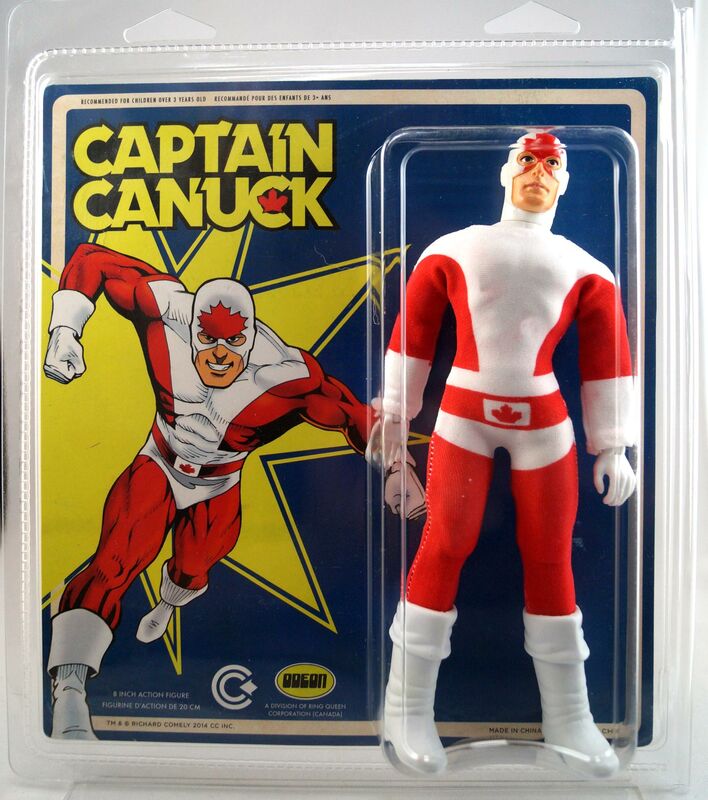 You can get the Captain Canuck action figure at the PlaidStallions Shop right now. And Hey, if you're in Canada and want one today, you're in luck, it's Captain Canuck day! 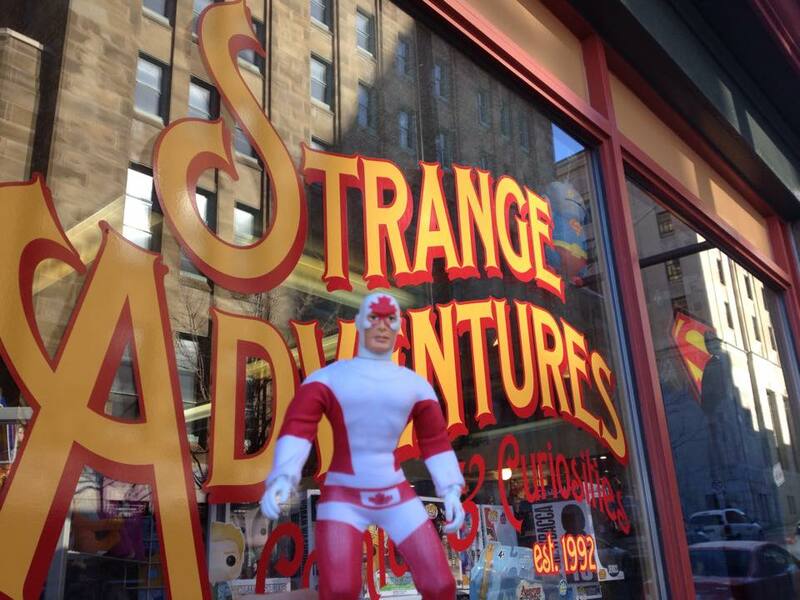 The figure is launching in comic stores like Big B and Strange Adventures (pictured above) right now in cities from Coast to Coast, here is a list. 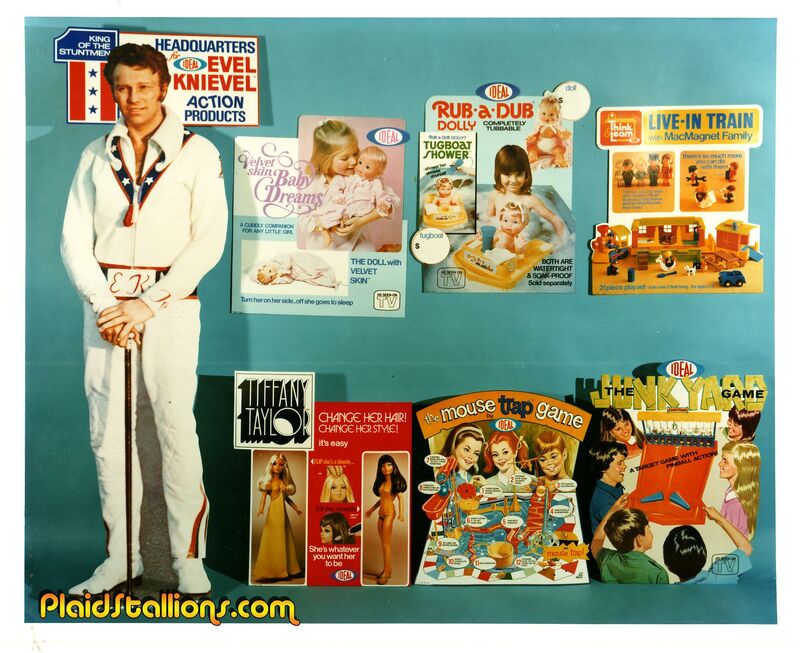 Discovered this in some documents featuring Ideal toys from 1976 that I'll feature on the site in the very near future, a photo of the different Ideal toys store displays, the belle of the ball being Mr Knievel. 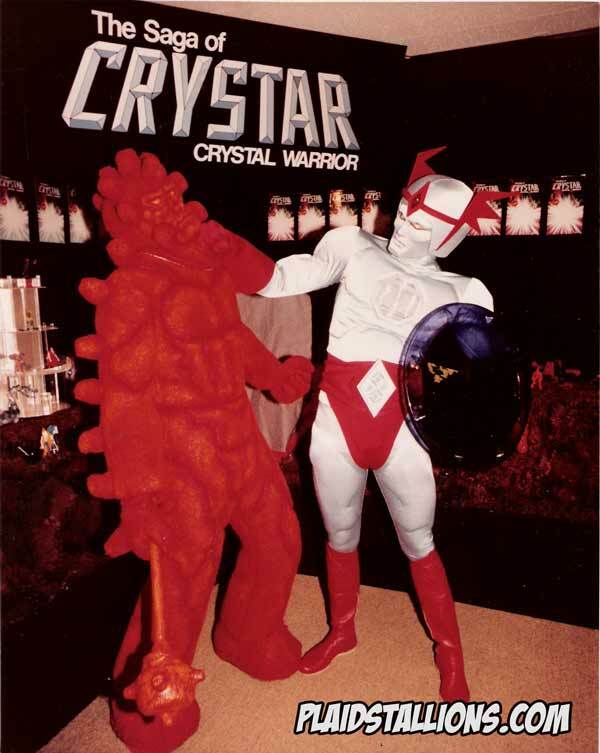 I stumbled on this great toy fair ad for Crystar today and it reminded me of the first time I saw the line in a Liesure World as a kid (a store that rarely carried action figures BTW). 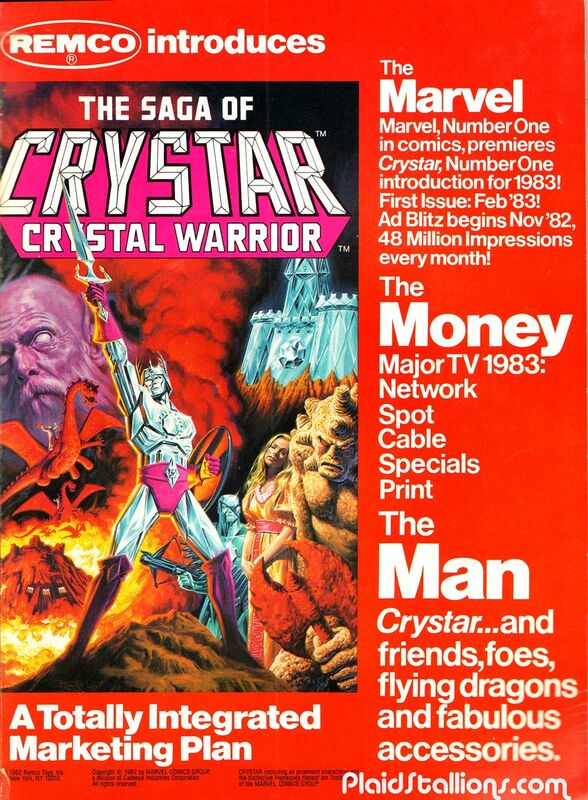 Remco and Marvel teamed up on this and it seemed like it would have been a big hit but this was the age of animation mixed with toys, so the saga was markedly short, Crystar doesn't appear in the 1984 Remco catalog. 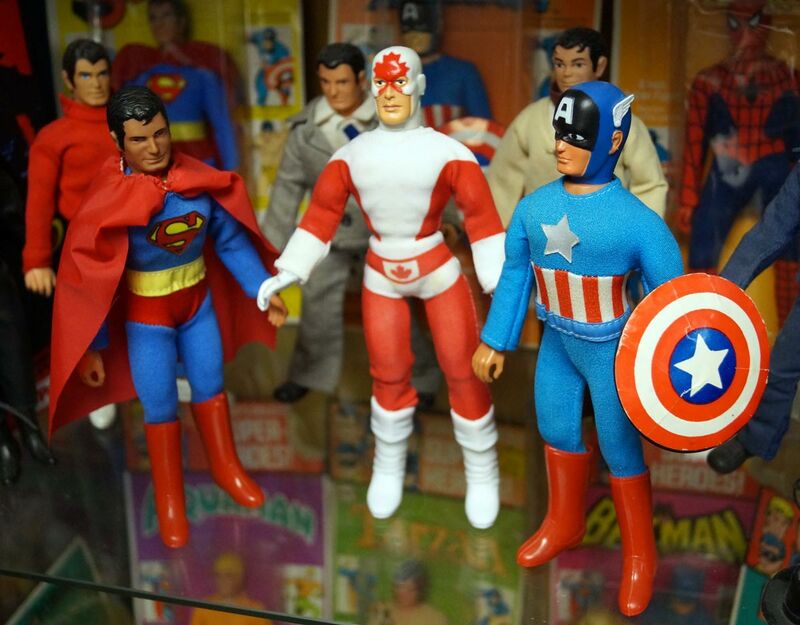 I love showing this picture, from the 1983 Remco showroom, note the proof cards behind our hero. 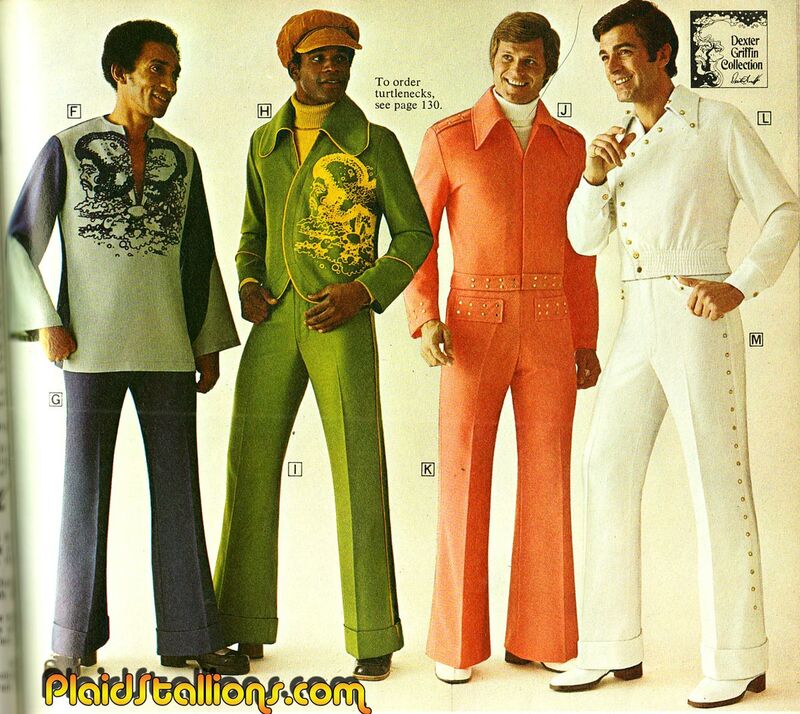 Wonder where these costumes are now? 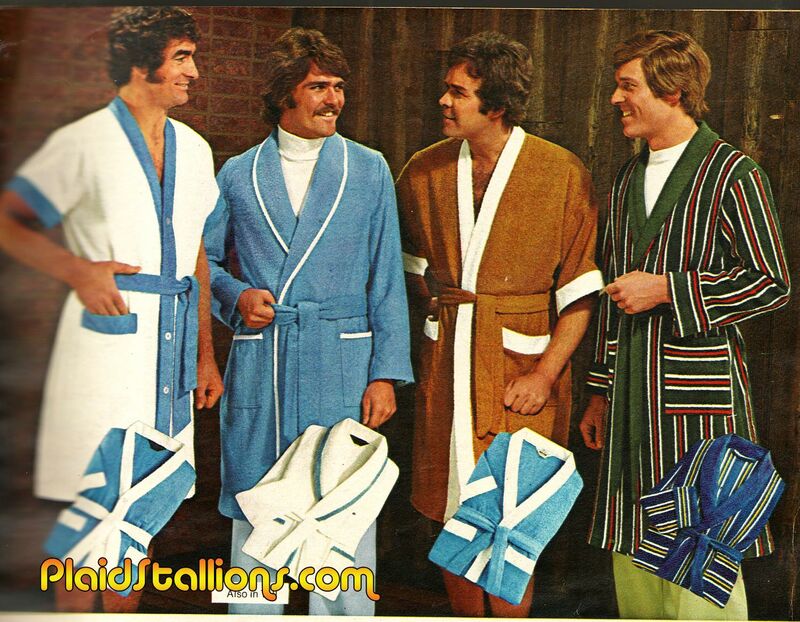 What happens when four high school basketball coaches get exposed to cosmic radiation? Find out this fall on NBC! 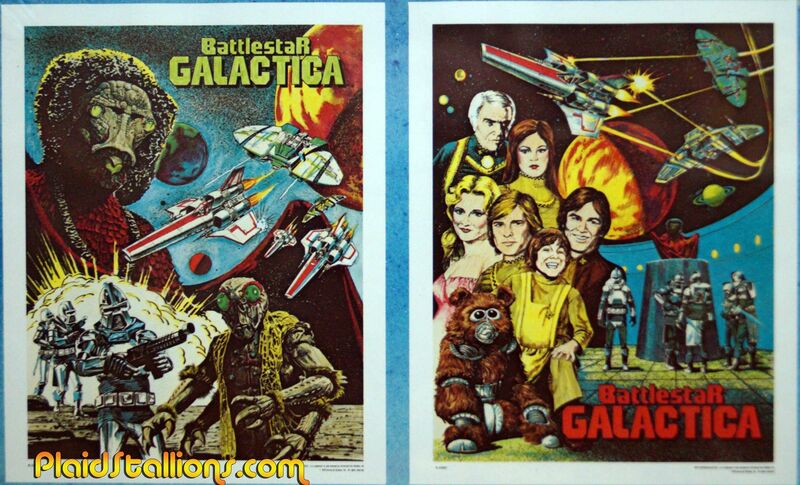 Please give a warm welcome to my latest obsession, 70s poster art sets. 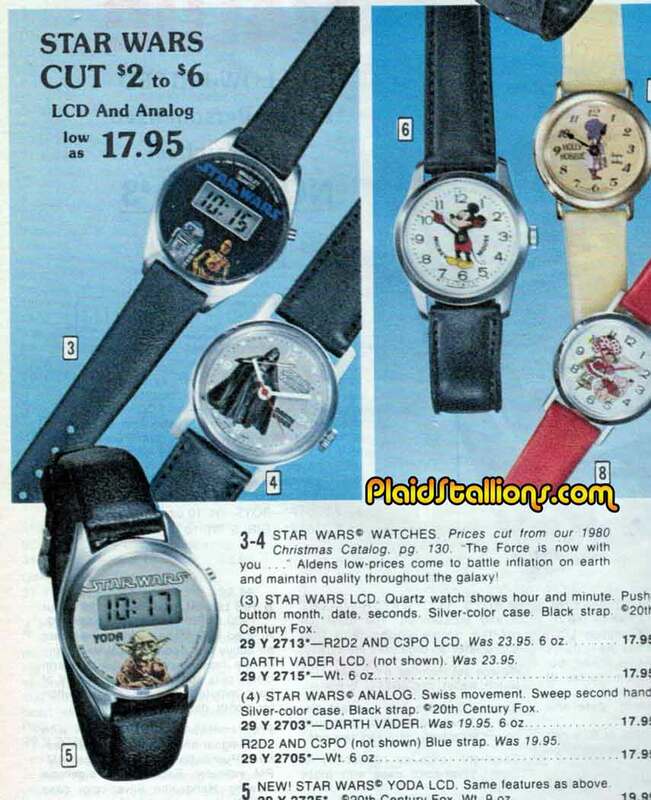 As a young lad I ruined many of these with my lack of both talent and patience. I've been secretly admiring these on Ebay until one bout of sleeplessness resulted in a surprise parcel in the form of this set and it is a beauty! Look at how beautiful the art is on this thing, you don't need to colour it all. 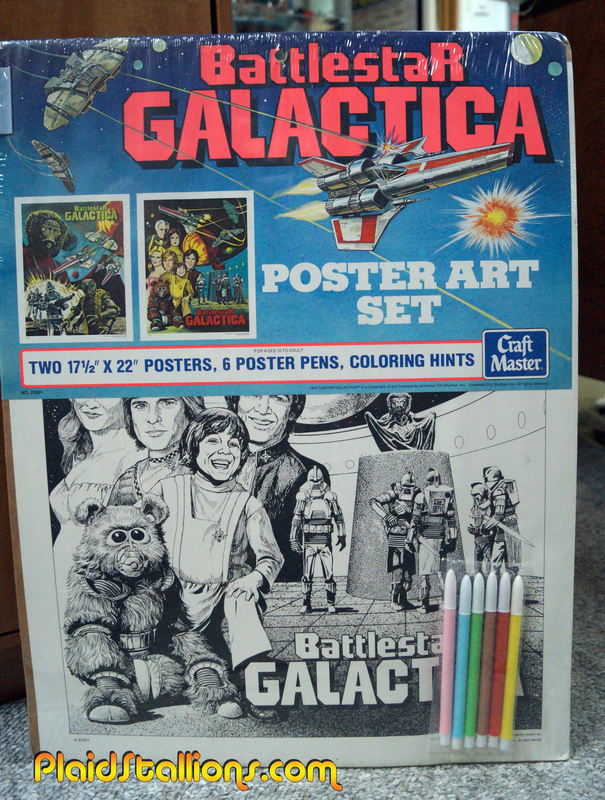 One thing I want to point out is, this is how they suggest you color these pages. Aaaaand these are the tools they give you to accomplish this goal. Look out ladies because Donny Wolstein is retainerless this evening, I repeat retainerless. Please try to remain calm. Fleetwood toys was one of the biggest and most prolific manufacturers of Rack Toys during the 1970s and 80s. 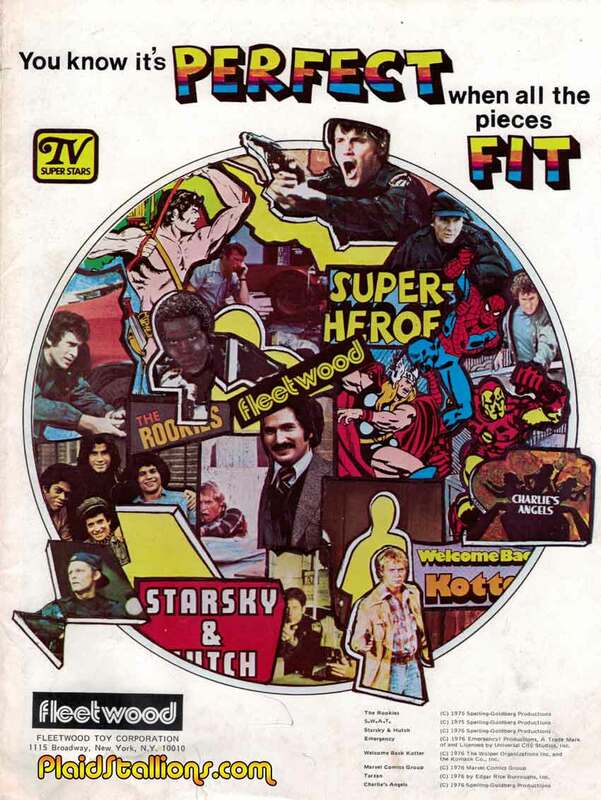 In 1977, they were truly on top of their game as evidenced by the massive amount of licenses they had this year including the Marvel Comics Superheroes, Welcome Back Kotter, Starsky and Hutch, The Rookies, SWAT, Tarzan, the Space Sentinels even Ba-Ba Blacksheep! 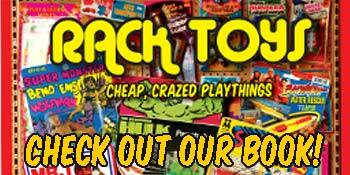 It's so jam packed with cool rack toys, there is no way you can't find something you like. People, can we all just put our heads together and make canes a thing again? Seriously, this guy looks dope but I'm personally just not cool enough to make this happen by myself. I'd just end up some sort of "albino suburban pimp meme". 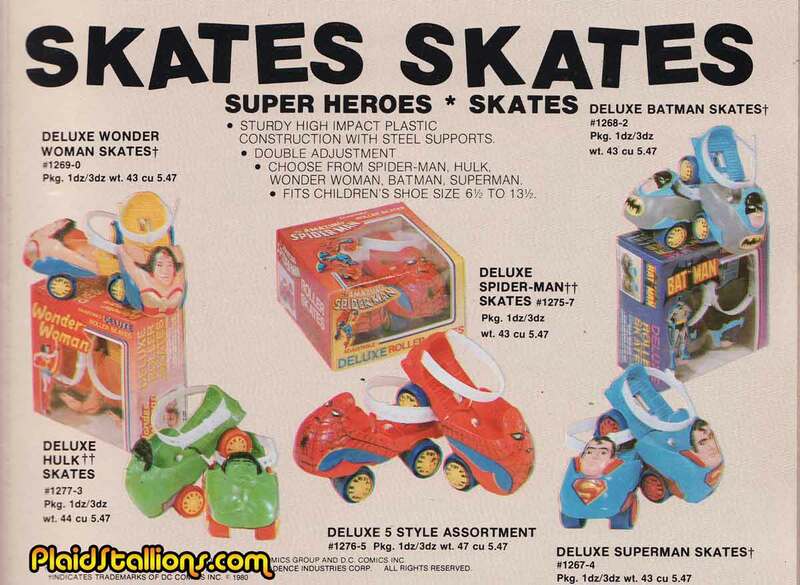 Larami did these SuperHero skates for years and as weird as they are, they must have sold. 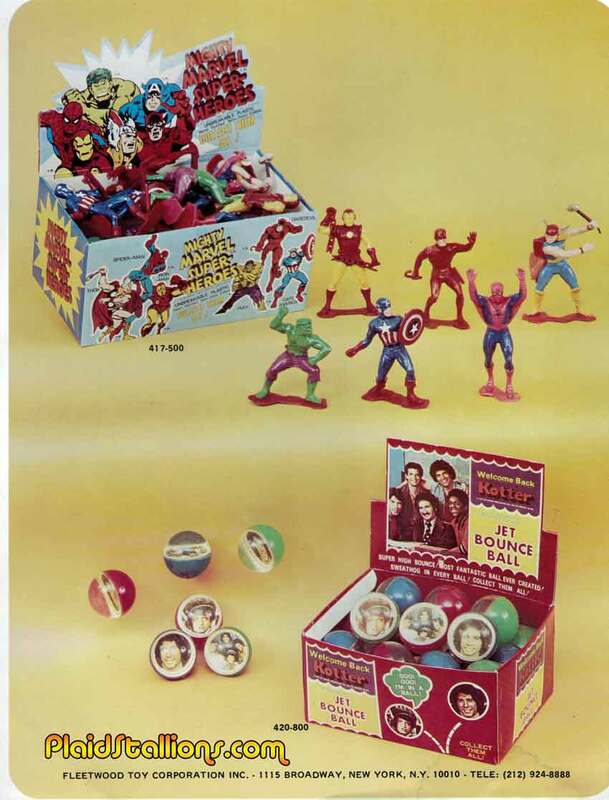 Like every toyline from the mid seventies, the Hulk was very quickly added to the mix once his TV show aired. Thanks to my new pal Uzay Bluestar, I have another entry in "never seen it before" category. 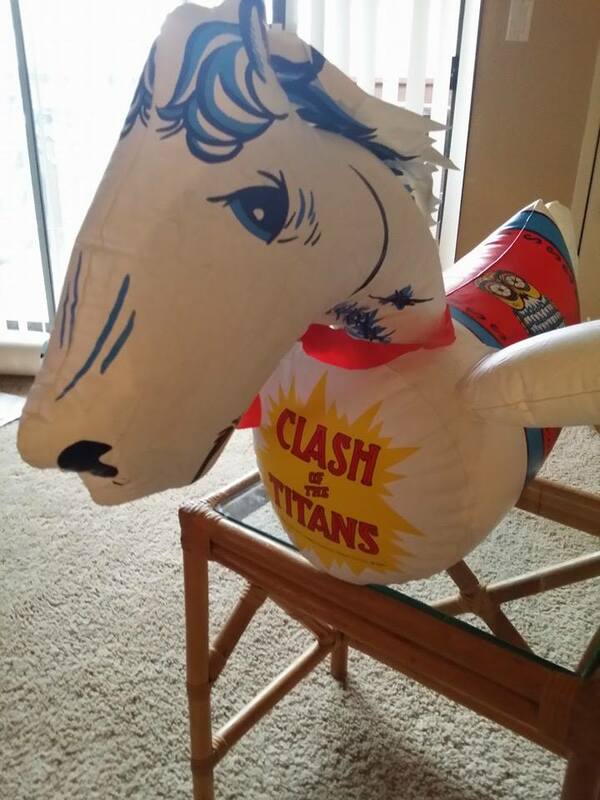 Inflatable toys are sometimes the wild west in terms of information(not unlike rack toys) so it's not surprising that I didn't know this existed but I'm happy it does. 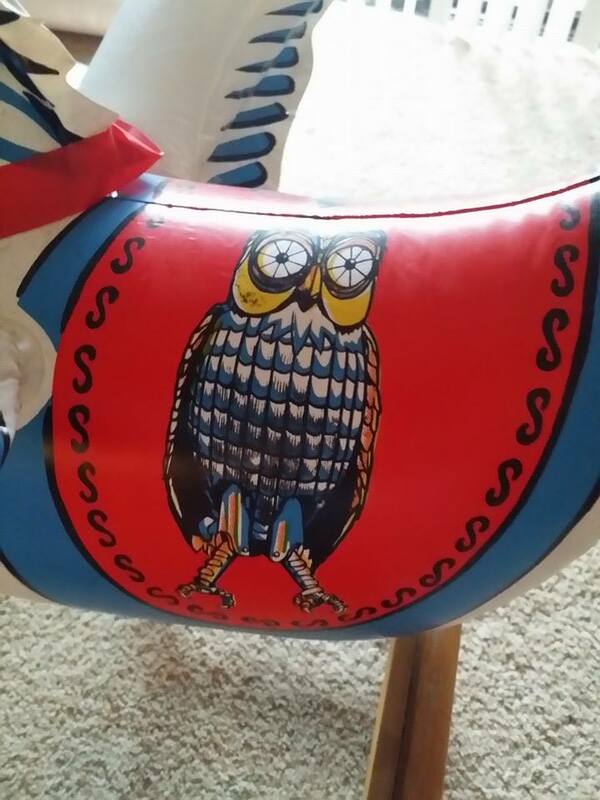 Does anyone recognize that logo? 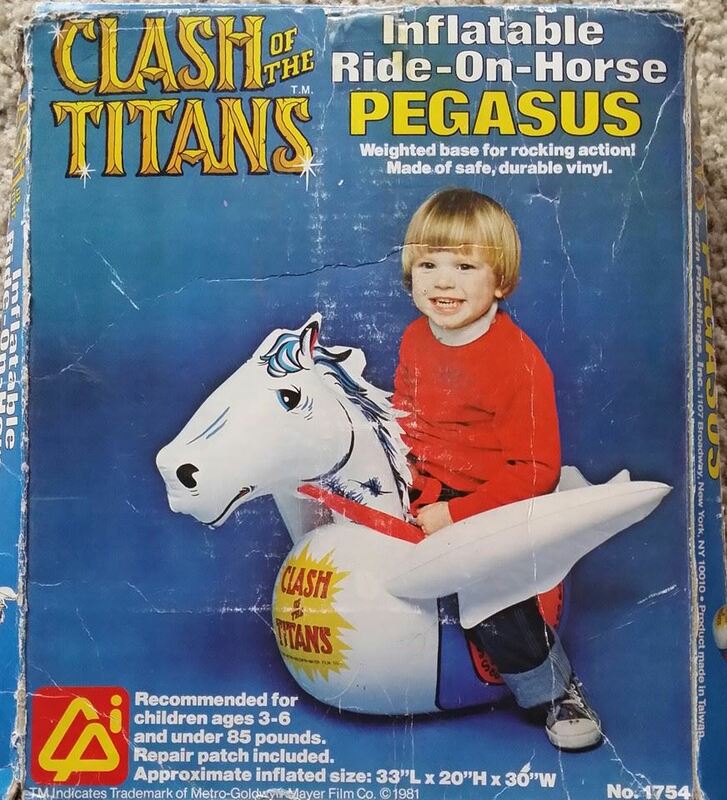 Pegasus has the film's title on his chest, just like he did in the film. Bubu on one side of the saddle. 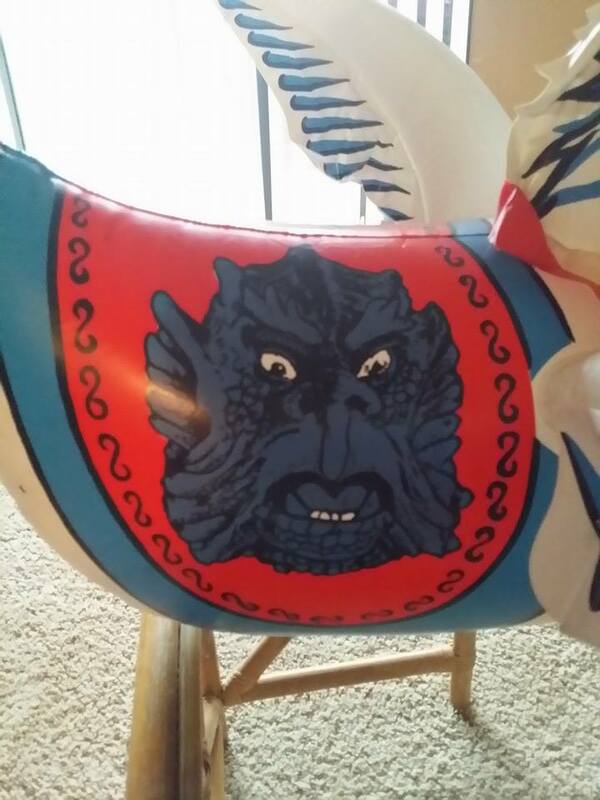 Kraken on the other, nary a Harry Hamlin to be found on this thing. 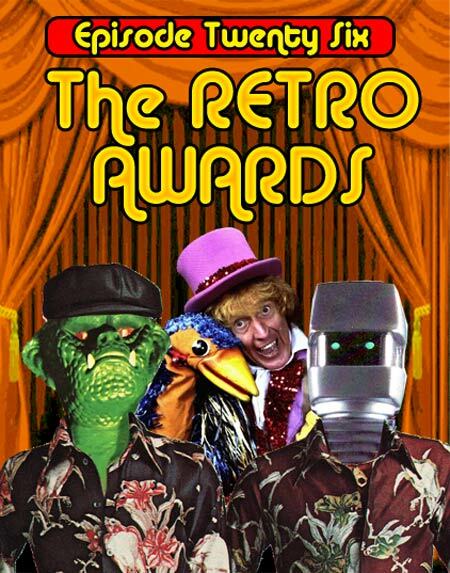 We're back and we're launching our first episode of 2015 resurrecting the Retro Awards. For those not familiar with the Retro Awards, it's a celebration of things that came out in the last year (for this show we've slid into 2013 a l'il bit) that we feel rocked a 70s vibe.